Economic instability has done some interesting things to Italy. I noticed this when I spent six months there, travelling and living with whoever would have me. I got a good look inside the homes of real Italians. Something I recognised immediately was the difference between young Australians and young Italians. University students and those in their early twenties in Italy seem very slow off the mark when it comes to finishing study, travelling, or even moving out of home. Don’t get me wrong, they want for nothing. Their parents, who seem to have a strong sense of responsibility for their children’s successes, heavily support them. They house them, send them to university, clothe them, and where necessary, pay their rent in their city of study. But when you get down to it, you really can’t blame the kids. While I was in the Veneto region, I met a student named Gloria in the small town of Chioggia near Venice. She’s a twenty-five year old law student who frequents the local library each day in the hope of soon completing her studies. Gloria recognises what a privileged position she is in, because without her parents’ support, she could not be a lawyer. Equally, she recognises that when she finishes her studies at twenty-eight years old, she will never have lived with economic autonomy. I am twenty five. I’ve travelled the world and worked in my chosen profession for the last three years, so this is something I struggle to fathom. Similarly, Gloria thinks I’m a total oddity. She tells me her parents are spending their retirement money to send her to university so she can have a future, but that worries her because unemployment is high. Joblessness amongst Italy’s young people has been reported at 30%, with the Italian statistics bureau Istat, recently reporting that overall unemployment is at the highest it’s been at 9.8%, since monthly records were kept. Philip Giurlando is a political scientist at Canada’s Queen’s University with a strong background and interest in Italian culture. I met him while he was undertaking hundreds of interviews with Italians, for his PHD that looks at how Italy entered the European Monetary Union. From many of these interviews, he’s recognised that economic instability has discouraged businesses from making long-term investments in people, and this is upsetting the apple cart. But with a continuing economic crisis in Europe, there’s one little thing holding everything together. ‘Hope is the last thing to die,’ says Gloria. She hopes to have the life she dreamed of as a young girl – travel, a house, a husband and children – but she can’t even begin to think about any of this before she enters the workforce and secures a job. And with people finishing their studies and starting a career much later in life, it’s affecting Italy’s birth rate. Few more than nine babies are born to every 1000 people, making it one of the slowest reproducing countries in the world. The Italians clearly didn’t get the Pope’s memo. In November as the weather got bleaker, Mario Monti’s (enter left) ingress to the EU realm had no one excited. Italy seemed disillusioned by the corrupt government and Berlusconi (who went everywhere with a footstool for official photos). ‘At least he was entertaining,’ people would say to me. Then the word ‘austerity’ became more common in the Italian media. This of course made no one more enthusiastic about the unemployment situation or the state of the education system, job opportunities, public health services nor natural disaster recovery. And kids are taking advantage. Not wanting to miss out on what life has to offer, many Italians are opting to live traditionally in the home of their parents so they can raise children. It’s effectively a step backward from the modern culture that’s developed in the past decades. I lived in a Sicilian household for a month with a married couple, their sister, their auntie and uncle, and their grandmother across the road. The newly married couple were trying for a baby at the time. Kind of gross, right? But Mr Giurlando says this tradition that’s often still seen in the southern regions of Italy, is becoming more and more common elsewhere. ‘Many Italians are having kids and they’re making the sacrifices; partly because they have parents that are helping them. I have many friends in Italy who are living with their parents, with their wives and with their kids so they don’t pay rent. The meagre wages that they’re earning go toward food and other stuff,’ he says. Let us not forget though, the ‘Mammone’ (big mamma’s boy) phenomenon. When the average wage in Italy is equivalent to $2000 per month, you can’t blame people for wanting to live at home; saving money on rent and food. I’ve heard of people (generally bachelors) living with their parents well into their thirties and forties to save money; pooling their resources and squirreling away their incomes. All while enjoying the comforts of home-cooked meals, foot rubs and in-house laundry services. Probably just one more reason Italy’s birth rate is so low. Natalie Oliveri is a radio producer, freelance journalist and audio documentary enthusiast based in Adelaide. She’s fulfilled a lot of her life ambitions except her one dream to become an opera singer, so that’s next. She’s also looking for a housemate. Visit her online here and follow her on Twitter here. 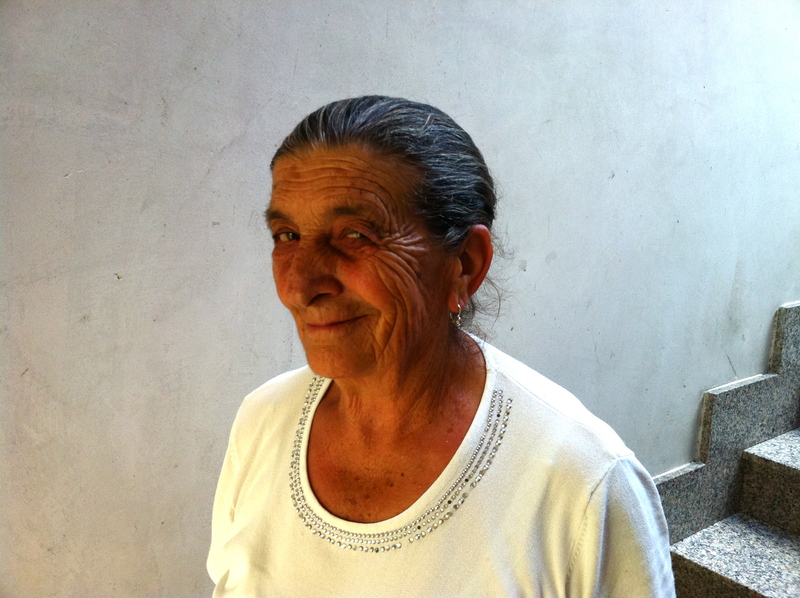 This entry was posted in Culture, Featured and tagged economy, family, italy. Bookmark the permalink.